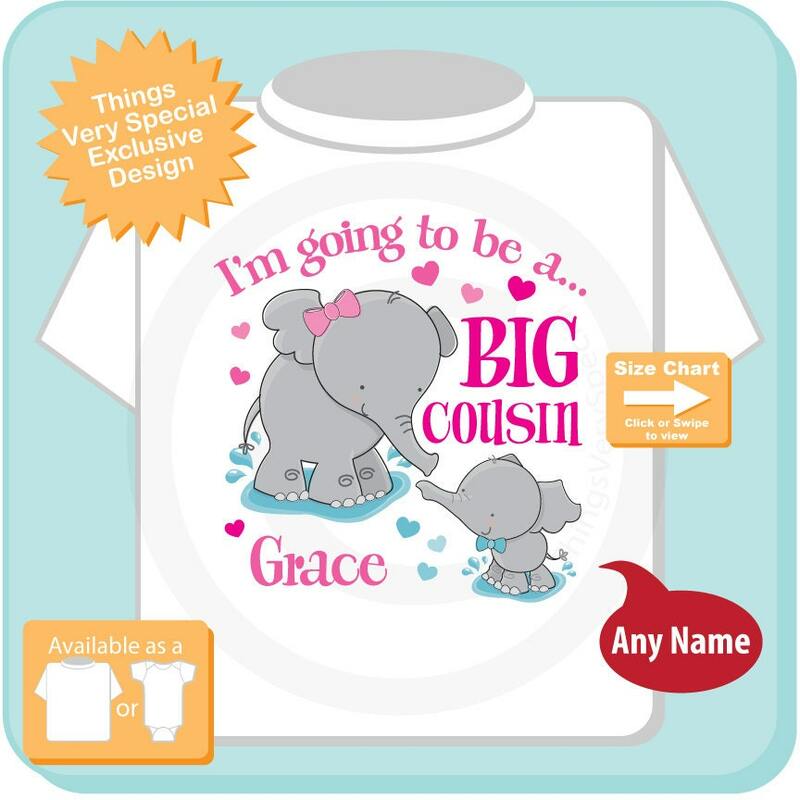 Super cute I'm Going to be a Big Cousin tee shirt or Onesie with awesome Elephants. This one is has a boy baby with a bow tie. This design shows a boy baby with a bow tie. 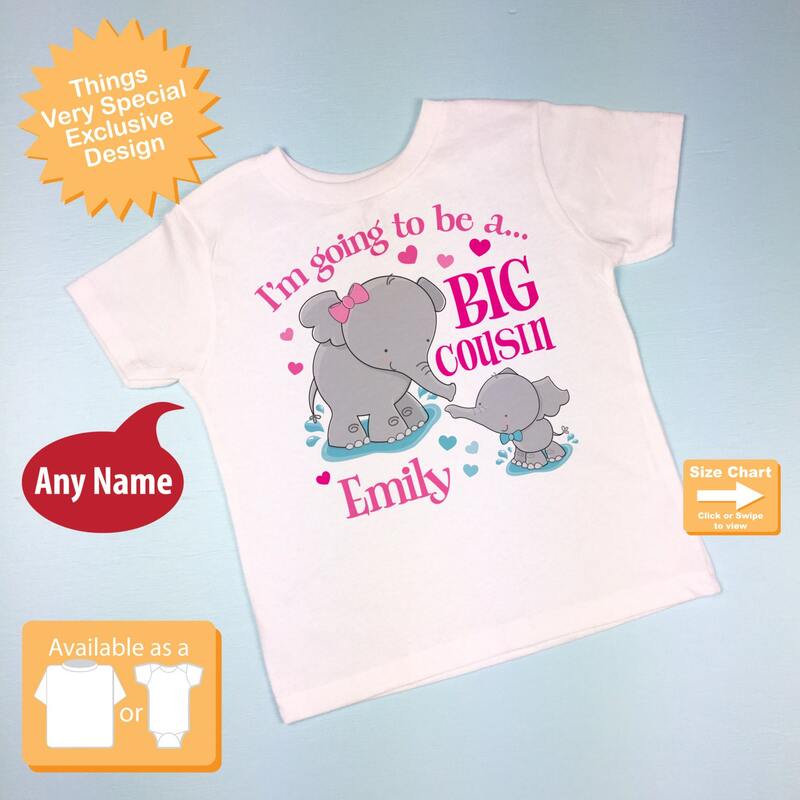 I do have other versions in my store for unknown gender and baby girls. 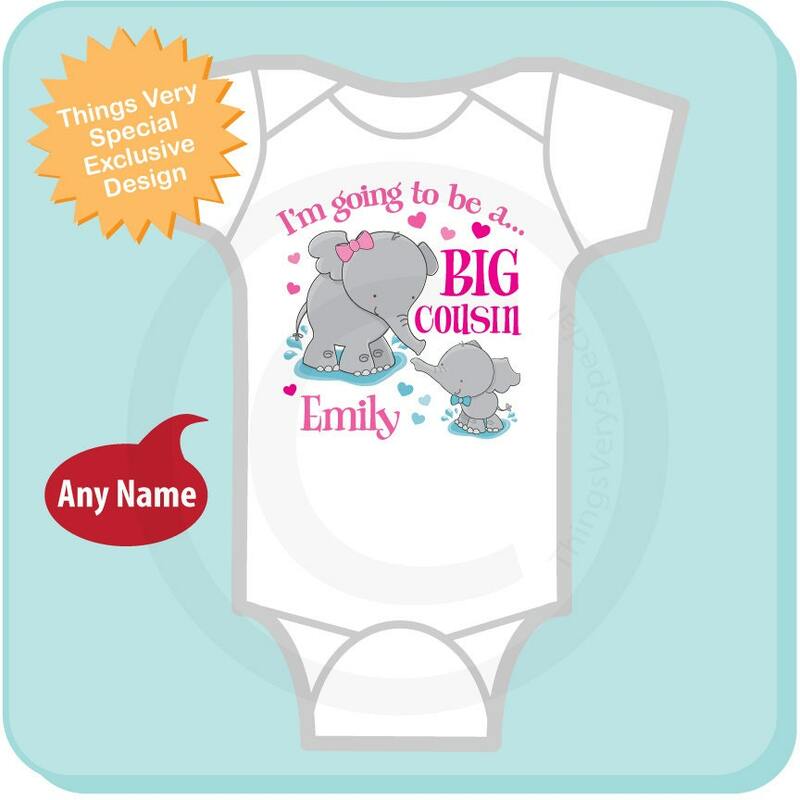 The onesie was great but unfortunately when I ordered, the description was a bit inaccurate and did not realize the little elephant was depicted as a boy. I contacted the shop owner and had to pay $5 for a reprint and then whatever it would cost to ship the old one back. 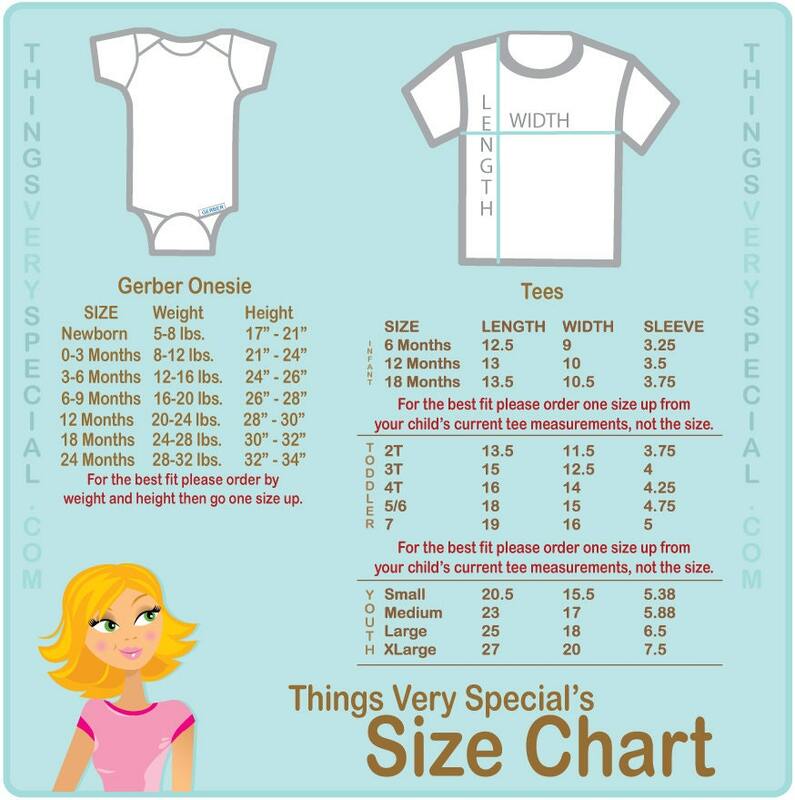 Make sure you really read through the descriptions before placing an order as there are different variations of this onesie.